How to travel and lose weight in synergy while reversing the tide of age; now that’s NEAT! 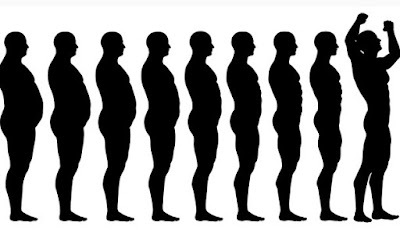 As I passed the 50 year old mark and the kilo count started to gradually rise, I resorted to all manner of excuses such as “I have heavy bones”, “my metabolic rate is extremely low” or my recent favorite (somewhat justified until now) “I just don’t have time to workout due my business schedule”. If I travel overseas every week, how can I possibly join a Gym for example or follow any regular fitness schedule? Now I have found the answer and it appears to be rather compelling, so I would like to share! The fact is that science is moving fast in the field of weight regulation. The latest “Buzz Word” that has gained traction and worthy attention is a phenomenon called "NEAT" (Non-Exercise Activity Thermogenesis). For purposes of simplicity, this involves the energy expended in everything we physically do that does not involve eating, sleeping or sport-related activities. Examples of such every day physical activity are merely walking to work or to a meeting, typing, fidgeting around, walking whilst on the phone, merely talking (many Ladies are good at that) or performing other necessary daily tasks, such as active Shopping, Gardening or Cleaning. In a study of sedentary lean and overweight people, they were fitted with special underwear that monitored every single movement of their bodies. These subjects were specifically fed 1000 calories above their weight maintenance levels. The results were remarkable, whereby those who engaged in a NEAT program did not gain fat despite being overfed. Conversely, those who did not switch to a NEAT program gained literally 10 times more fat! 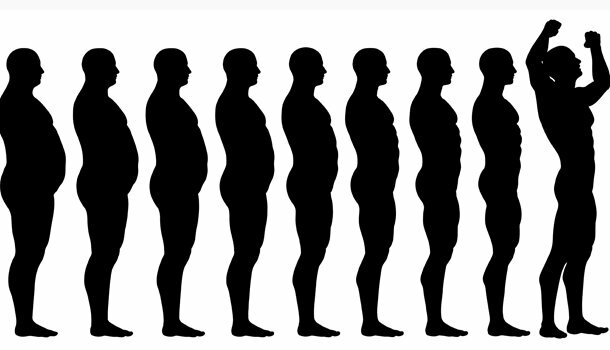 More precisely, those who were obese moved around 2½ hours less than lean people, which equates to about 350 fewer calories a day. The results show that ambulation movement seemed to make a notable difference. For clarity this did not come in the form of pre-planned power walking, but instead by constantly taking every potential opportunity to move. It is also worth noting too, that most of the subjects had desk jobs. Just think about the scenarios; there is no reason why people cannot potentially talk on the phone and walk around at the same time or hold one-on-one meetings while walking, or move around whilst cooking or even heaven forbid selecting different activities at the weekend that are perhaps not so screen-related. About 30% of a person's daily expenditure comes from NEAT (the other portions are from basal metabolism and the thermic effect of eating). Those who are active have higher percentages of NEAT. Moreover, this is a factor we can assume control over. Put simple, NEAT burns more calories than exercise in most non-athletes. It will come as no surprise to you to when thinking logically, that in the last 100 years, we have imposed an almighty environmental kibosh on our ancient biology. To illustrate 150 years ago, 90% of the world's population were agriculturists. NEAT is certainly part of the solution to combat poor health and weight for Perpetual Travellers, however it does not mean we can eat what we like! A balanced protein rich controlled calorie diet when travelling combined with an optimized NEAT program will certainly make a difference to your health, weight and well-being. I designed this article to motivate those of you who need it the most to shape your own movement-oriented habits when travelling or at home, that will help you reverse the tide of age and the challenges that come with frequent travel. Use the stairs always at Airports, Train Stations, Cruise Ships, Hotels or Shopping Malls and not the lift or Escalator. Refrain from using the moving walkway at Airports, go on your own steam. If you are just a little late, run or brisk walk to your gate. Every so often physically carry your bag and avoid the wheels. Help old Ladies or people that are struggling to take off their luggage from the Baggage reclaim. That goes for loading luggage too at check-ins and over hanging Luggage cabin spaces on planes, trains and even on a Ferry. When the Bell Boy offers to take your Luggage to your room, politely refuse. Do it yourself! By the way once my partner left the Bell Boy to take the luggage to the room and when we returned from lunch we found her bag and shirt on a hanger still in Reception for all to see. So with travel NEAT you can always keep an eye on your possessions too. Window Shop and walk the length and breadth of the Airport, as you wait for your flight. When embarking the train walk to the very last carriage. Take a walk on the train too. Keeping your balance, also keep you fit. When on the phone walk around, it’s good for you! When going to a Business Meeting get dropped off close to the venue or Hotel and walk the rest. When staying at a Hotel for Business, use the Pool and swim, even if only for fun. When on the plane do your leg exercises. When unpacking do it in a rush and move around the room. Take a walk around the Hotel to see all the facilities, meet the staff and check the fire route. There are of course numerous other ways that one can enhance NEAT activity and we welcome readers comments and suggestions. Stay slim and travel NEAT! We have just added your latest post "How to travel and lose weight in synergy; now that’s NEAT!" to our Directory of Shopping . You can check the inclusion of the post here . We are delighted to invite you to submit all your future posts to the directory for getting a huge base of visitors to your website and gaining a valuable backlink to your site.